Emanuele Della Valle follows in the footsteps of other European directors fascinated with America’s wide-open spaces and transitory communities. His choppy feature debut Wetlands has the visual markers of noir, using the autumnal gloom of desolate coastal communities south of Atlantic City to express the isolation and bone-deep sadness of his characters, but the genre’s clockwork fatalism is missing from Della Valle’s haphazard script. The problem is Babel “Babs” Johnson, a disgraced police detective who gets a last-chance posting after rehab. He’s quixotic and volatile, not methodical and astute, and it’s doubtful the tranquil home life he’s obsessed with re-establishing ever existed. 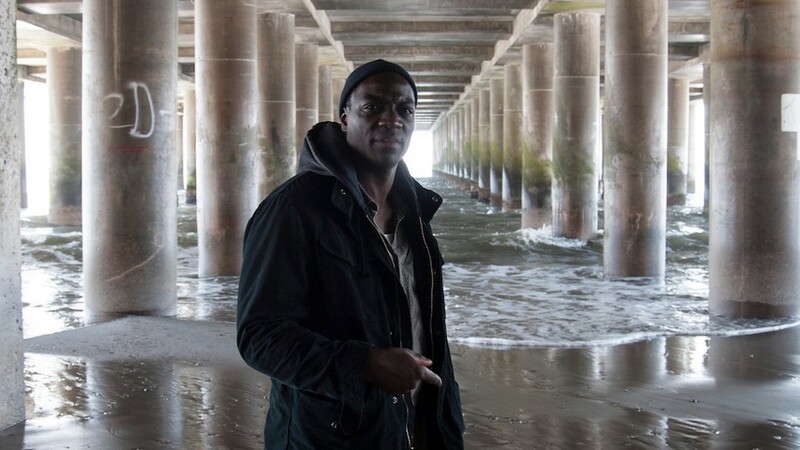 A suitably haunted Adewale Akinnuoye-Agbaje can’t reconcile Babs’s impulsive actions with the character’s implied moral core. Babs appears steady primarily because his partner, Paddy Sheehan, is a flamboyant clown whom Christopher McDonald imbues with malicious flair. Della Valle, a board member of his family’s luxury brand Tod’s and of famed Italian studio Cinecittà, is better at presenting the detectives’ wealthy wives, and even gives Heather Graham (as Babs’s wayward heiress ex) his signature tinted eyeglasses. Playing a news anchor married to Paddy, Jennifer Ehle projects resentment so sharp it could cut glass, but both women have the means to escape their choices. Not so for the feral waif (Reyna de Courcy) with a Sunset Boulevard voiceover. A surfer who dreams of the warm Pacific, she’s stuck in this corrupt New Jersey backwater, where the powerful receive redemption but a poor dreamer’s struggles only dig her deeper into the muck.